When it comes to countertop cooking appliances, a rice cooker and a pressure cooker are two very commonly used products. Both of them are very good when it comes to cooking food effortlessly and quickly, but I prefer to use a pressure cooker. A pressure cooker can cook everything, but a rice cooker is very limited in what it can cook. I’ll go ahead and explain the difference between a rice cooker and a pressure cooker, and it will be readily apparent that a pressure cooker is a better choice. I keep a rice cooker in my home because it’s a very quick way to make rice. In the past, I used to cook rice on the stove top, and I just couldn’t stand it. I would have to stand around and watch the rice as it cooked, and if I forgot that it was on the stove, I ended up with burnt rice. With a rice cooker, I set it and forget it. A rice cooker makes my rice perfect each time, and depending on the size of the cooker, I can make enough rice for myself or my entire family. When I use a rice cooker, I can change what type of rice I cook. The rice cooker that I have, it has a sensor to tell me when the rice is completely cooked. I used to have a cheaper version, and even that rice cooker did a great job of cooking my rice, and I never had rice that was undercooked or overcooked. I used to have a pressure cooker that would go on top of the stove, but those are outdated now. A pressure cooker is good, but it’s best to get one that goes on the countertop. The countertop pressure cookers are perfect because some of them cook food up to 10 times faster, and they are absolutely amazing. I have a pressure cooker that is silver in color, and it can do everything. I can even cook rice in my pressure cooker in as little as six minutes, compared to a rice cooker, which takes about 20 minutes. My pressure cooker is also great for steaming, sautéing, barbecuing and more. I can get the toughest cuts of meat, and my pressure cooker will cook them within 20-30 minutes, and they’ll be juicy and delicious. I’ve even been able to cook frozen foods and my pressure cooker, and they still come out delicious. My countertop pressure cooker also allows me to bake desserts when I want to. 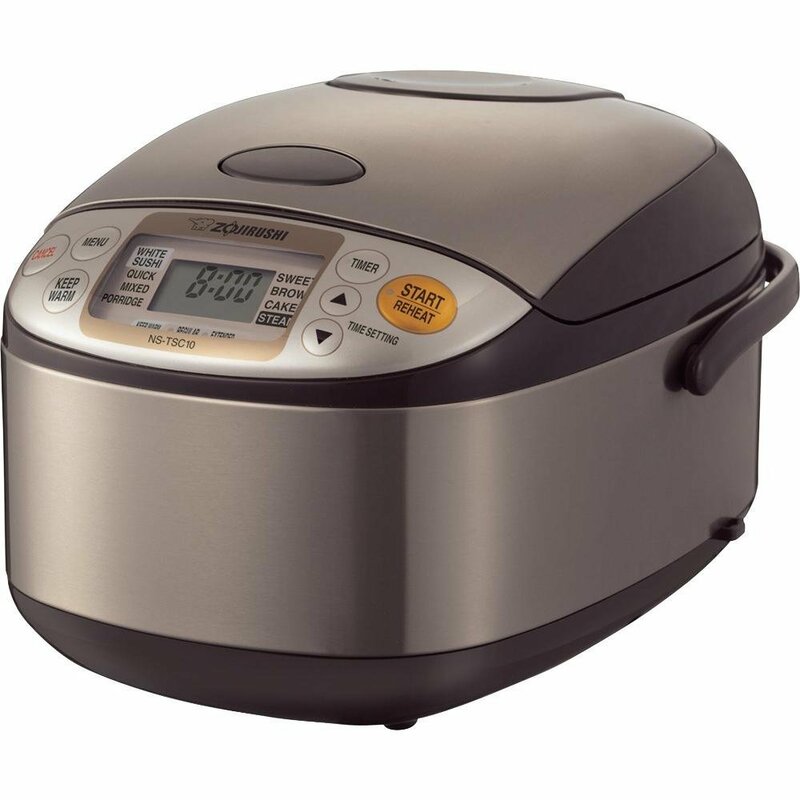 Overall, I prefer my pressure cooker to my rice cooker any day, but they are both great products.